Living in the city, moments with nature are fleeting and ties to craft obscured and removed from their origins. Light casts sharp shadows across the built environment, softening in fleeting moments across tree tops and wandering vines, little bursts of light that scatter softly atop hard streets, glimpses and gestures of times in the wilderness. Sunburst Sukkah filters light gently through its woven canopy, enveloping the embedded woven seating in a medley of dancing phosphorescence. 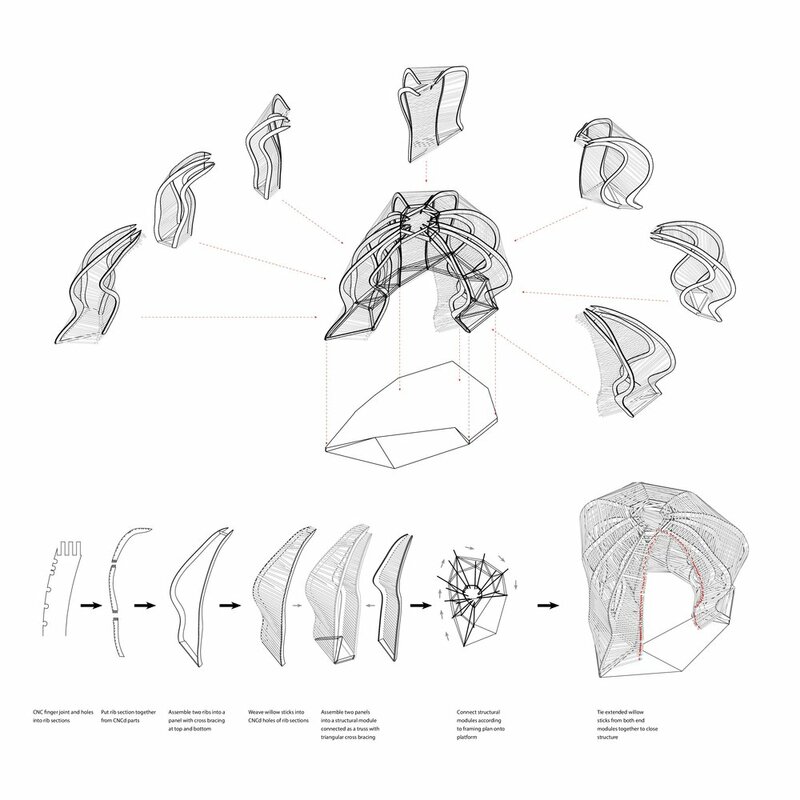 In celebration of collaboration that combines design, agriculture, and culture, this project entwines traditional making and digital design. 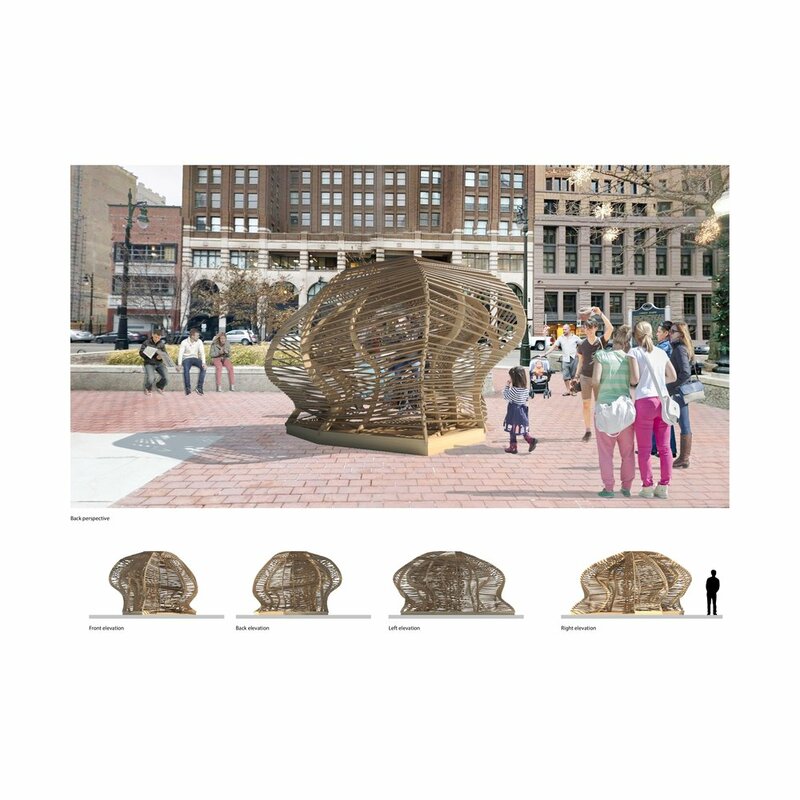 By borrowing aspects of wicker weaving with willow sticks and CNC executed digital design, the Sukkah creates a contemplative experience to sit, eat, and enjoy the events on offer sheltered from sun, wind, and rain. 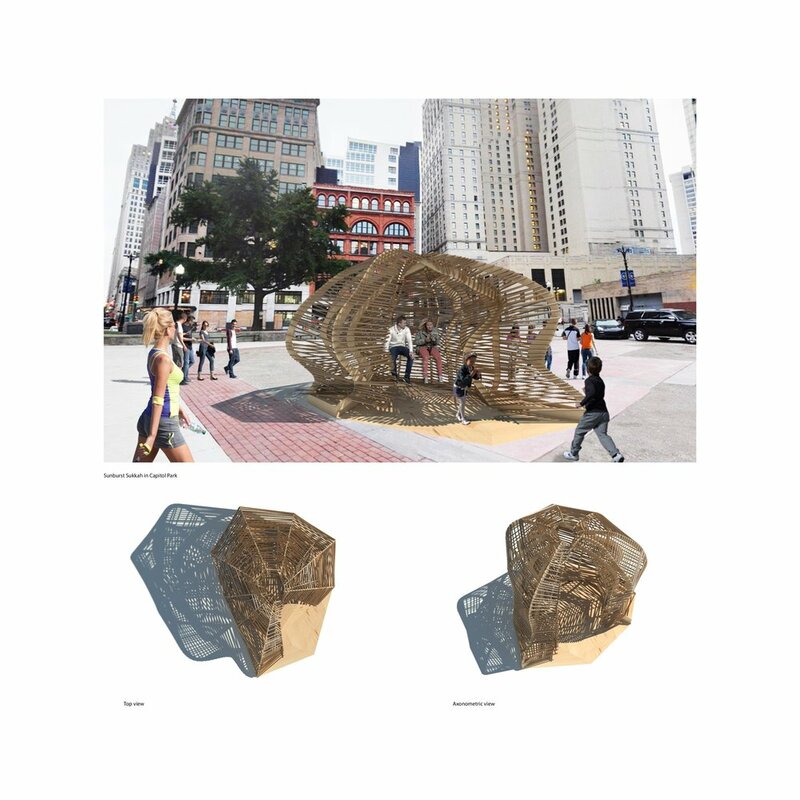 Formally, Sunburst Sukkah takes inspiration from reeds bending in the wind, curving and flexing to form awnings and nests for wandering animals, weaving vertically, horizontally, and diagonally to create shade, windbreaks and soft bedding for the weary. These flowing reeds act as structural ribs for the Sukkah, shifting and alternating in a double skin system that create a dynamic filtering of light into the center of the Sukkah while also providing improved structural stability as they join together across the two skins to form a continuous triangulated truss. Sunburst Sukkah offers a dynamic and interactive experience for Sukkot observers, bringing the wilderness of the Exodus to life in fleeting moments of scattered light.